It’s Christmas morning and Santa has left you an unusual package. Inside you find… 12 mysterious gifts, 12 classic carols, a few random objects and a secret message. It looks like there’s a mystery to unwrap! 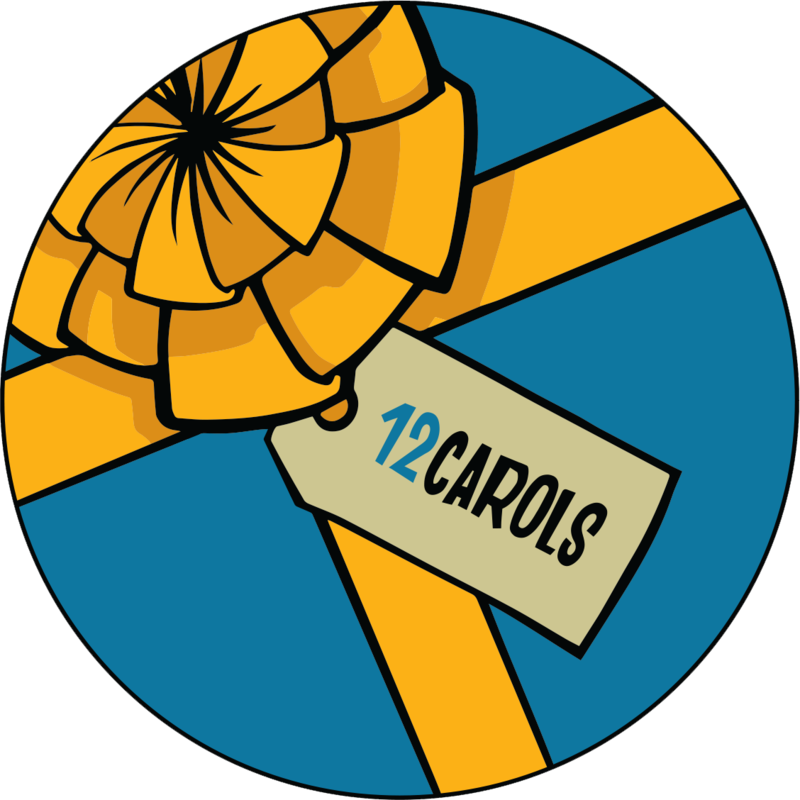 12 CAROLS is a collaborative game that will challenge your thinking, teamwork, problem solving and Christmas Spirit! A deck of cards is $15 and available only at Complex Rooms while supplies last. Need some help? Hints & Solutions below! The BLUE words on the carol cards will get you started and some carols have a symbol that will point to something helpful. Don’t forget to explore ALL the cards… it’s amazing where you might find useful information. Need a hint? Click on the tabs above to get a push in the right direction! The tabs above are numbered for each carol. Only click on the tab when you REALLY need a hint! Consider one royal gift and all seven of the blue numbers. Find the drum, the pums, the pa and both rums. You’ll need a few gifts including something to help you keep warm and all that coal. Are the hats pointing in the right direction? Now follow the trail! A is for apple and is the first letter of the alphabet. Find the holly… Now count! Uh oh! Did Santa make a mistake? One tree… Now what do you see? Use the reindeer coin and a cool gold card. The bells are something to note. Remember to consider ALL the cards. The only gifts you’ll need are the same colour as your carol clues. Now sing the song. There are many ways to solve the puzzles and YES! everything you need is in our deck. BUT! If you’re pulling your hair out and need the solutions… Here they are! The tabs above are numbered for each carol. Only click on the tab when you’re REALLY stuck! Not sure how to get to these answers? Stop by Complex Rooms for a chat! FROM ALL OF US AT COMPLEX ROOMS!